For over fifty years Rudolph has dedicated itself to manufacturing quality instruments and providing superior technical and service support. With over 2000 instruments installed worldwide and hundreds still in operation after 20 years of service, Rudolph understands the demands of today’s laboratories for durability and reliability. No matter what the application, Rudolph’s complete line of polarimeters, saccharimeters, refractometers and accessories can meet your laboratory’s needs for accuracy, reliability and performance. The company was founded in 1930 by Otto Curt Rudolph, who imported microscopes, polarimeters, saccharimeters, and other scientific instrumentation manufactured in Europe. Scientific instrument importation was not possible after the outbreak of World War II. Consequently, Mr. Rudolph began to manufacture a standard line of polarimeters, and undertook the custom design and manufacture of instrumentation for universities and laboratories. Since that time, the company has been engaged in research, design, manufacture, sales and service of products utilizing light as a measurement medium. In 1970, the company changed its name from O.C. Rudolph & Sons, Inc. to Rudolph Research Corporation. The name was changed to reflect the modern and innovative philosophies of the company. Rudolph Research began expanding its products to include a standard line of automatic ellipsometers, polarimeters and saccharimeters, as well as accessories for those instruments. Various models of these instruments are used in pure and applied research by universities, independent laboratories, government laboratories and industry. In addition, Rudolph Research production ellipsometers find widespread application in the semiconductor/integrated circuit industry where the measurement of film thickness in the angstrom region is important. Automatic polarimeters are used for research and process control in the pharmaceutical, food and beverage, chemical and related industries. Automatic saccharimeters are used routinely by sugar growers, processors, and refineries, as well as by governments to regulate both domestic and international sugar trade. In May of 1996, Rudolph Research formed a new independent corporation, Rudolph Research Analytical, which took over responsibility for all aspects of sales, service and the manufacture of the Autopol Line of Automatic Polarimeters, Automatic Saccharimeters, parts and accessories. 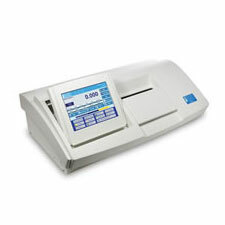 In March of 1999 Rudolph introduced the first of its J Series of Automatic Refractometers. Like all Rudolph products, this new line of instruments is developed and manufactured in the USA. In March of 2007 Rudolph introduce the DDM 2911 Automatic Density Meter featuring the Patent Pending VideoView technology. Rudolph continues to expand and improve its new line of density meters. Rudolph Research Analytical is a privately held corporation conducting world wide sales, marketing and manufacturing out of its offices located in New Jersey. Rudolph Research Analytical does 50% of its business outside of the United States and has over 2000 customers world wide. In order to accommodate Rudolph’s growth and better serve our customers, Rudolph Research Analytical relocated to a 30,000 square foot building in Hackettstown, NJ, USA in May 2005. Rudolph Research Analytical maintains a philosophy of continuous improvement and growth by developing products that are innovative and of high quality while conducting itself with integrity in all aspects of its business. Integrity, Quality and Innovation anchored upon Biblical Principles forms the foundation of the company.